EMIT Vol. 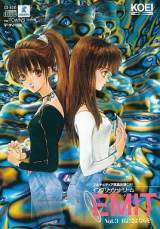 3 - Watashi ni Sayonara o © 1994 KOEI Co., Ltd. Released on September 18, 1994 in Japan.